Learn more about Pillars of Eternity 2: Deadfire's different race and subrace options as well as their related attribute bonuses. Obsidian Entertainment's latest RPG Pillars of Eternity 2: Deadfire has an elaborate character creation process that allows players to customize everything from their hero's weapon proficiency to his or her cultural origins and job. 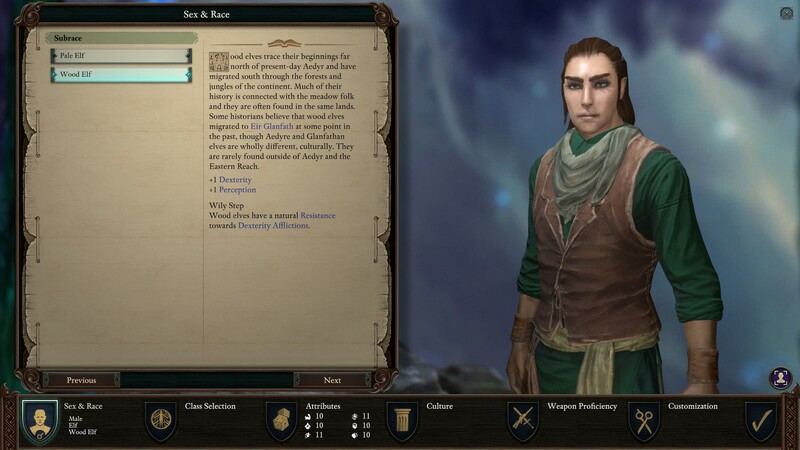 Early within the process, players will be tasked with choosing a race and subrace for their character, with the choice determining bonuses to specific in-game attributes. 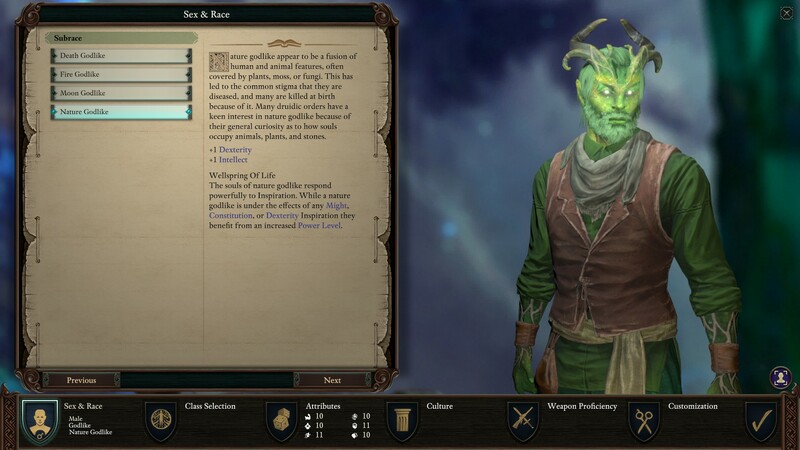 There are six different races available to choose within Pillars of Eternity 2: Deadfire's character creation process. 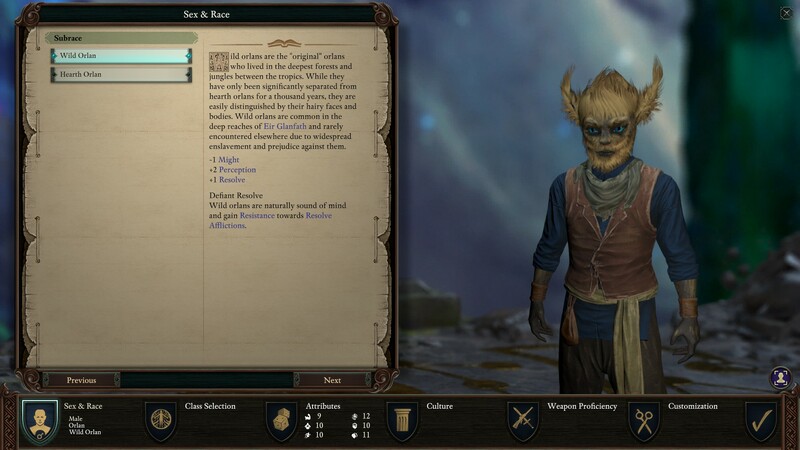 Not only does each different race offer up its own unique attribute bonuses, there are also a selection of subraces that can further define the hero's origins and appearance. Here's a look at each different race, plus background information from the game containing more details about each race. "The mighty aumaua are the largest of the kith races and are commonly found in or near oceans. Though not truly aquatic, they have an affinity for water and many of their civilizations, such as Rauatai, are based on naval dominance. They are known for their unparalleled strength." 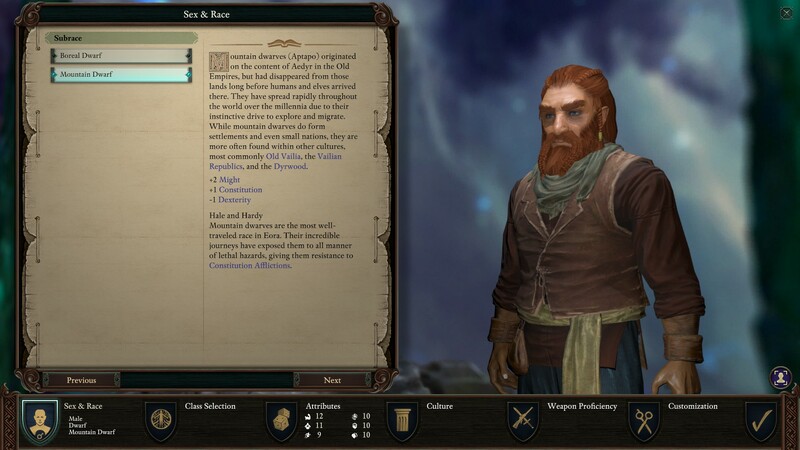 "By virtue of land covered and number of colonies settled, dwarves are the most well-traveled race in the world. They are commonly found in the Dyrwood, the Vailian Republics, and almost any colonized land. Dwarves are known for their great strength and tenacity." "Elves are the dominant race in Eir Glanfath and The White that Wends and are extremely common in the Dyrwood and Aedyr. Elves are known for their speed and intelligence as well as a commonly isolationist nature." "The godlike are children of the kith ("civilized" races) who have been blessed with physical aspects associated with the gods (though some do not consider it a blessing). These aspects may take many forms and often come with mystical powers. Aberrant head shapes are typical, and godlike are unable to wear protective headgear as it is near-impossible to find anything that fits. Because of their unusual nature and their inability to reproduce, godlike are often viewed with fear and wonder." "Humans (commonly called "folk") are the most common race in the Dyrwood, the Aedyr Empire, Old Vailia, and the Vailian Republics. Though not as large as the towering aumaua, humans are known for their strength and willpower." "Orlans are the smallest of the kith races, though many cultures don't consider them to be civilized at all. Also notable for their large ears, two-toned skin, and hirsute bodies, orlans are commonly found in the Eir Glanfath, the Ixamitl Plains, and parts of the Dyrwood. They are known for their mental intensity and sharp senses." 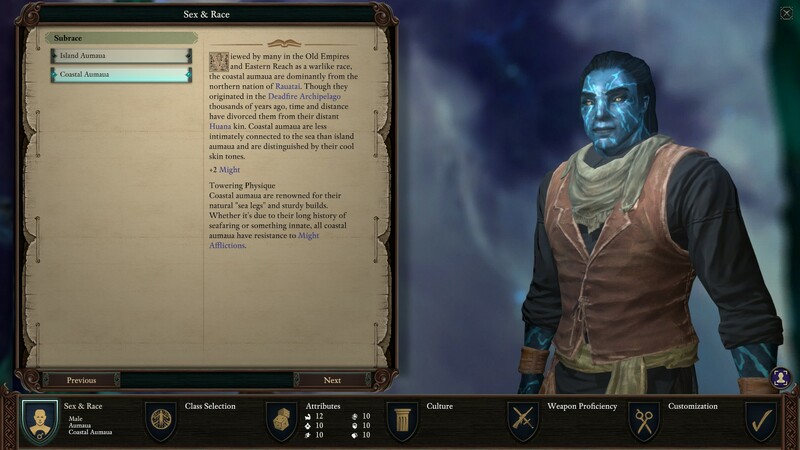 The character creation process in Pillars of Eternity 2: Deadfire involves more than choosing a race or subrace. 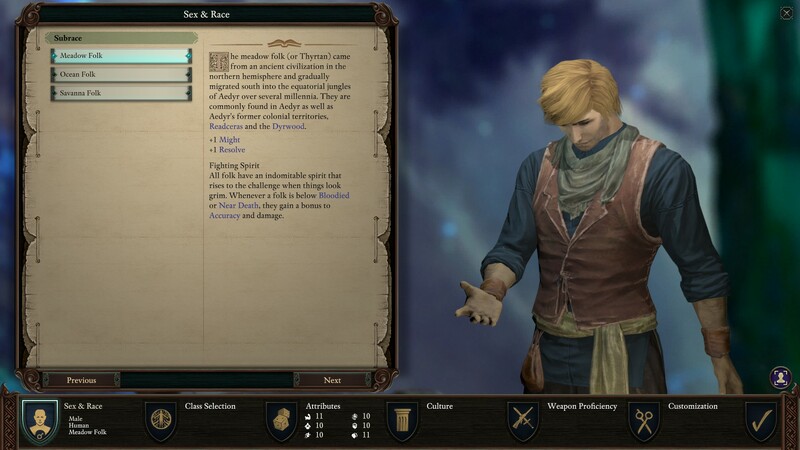 To learn more about the choices on offer and brush up on details of what each attribute and skill influences, be sure to head over to our Pillars of Eternity 2: Deadfire guide and walkthrough.